This continued prototype is more focusing on how the volunteers can know their impact to sick children. Another feedback from the volunteer is whether they like the postcards. So this postcard uses the touch sensor as well. 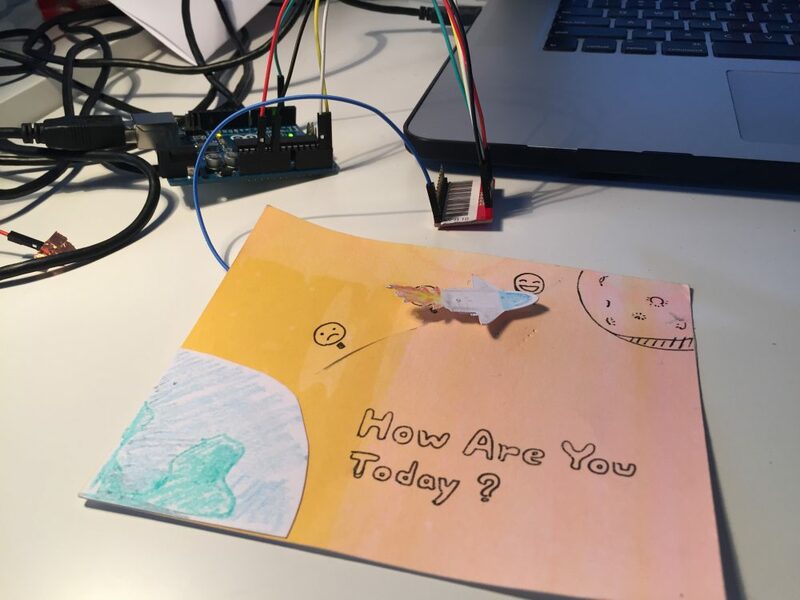 Everytime the card is touched, it will anonymously send back a message to volunteer that the volunteer will know they affect(encourage) a kid again. On the other hand, the postcard can count how many times it has been read and recorded in a database which will generate a data image showing the times, which will be a way for the organization to know their impact for the kids. only count one times no matter how many times being touched in 6 hours. how to create image on website based on touched data?